The use of free vector icons is a wonderful means of saving time and making a designer’s life much easier. So, there is nothing surprising about the fact that a great number of designers are using them. Still, when you are in a hurry, finding a nice place to download the icon you need at the moment may be a problem. Do not panic! Here is a list of the best icons collections where you can find awesome vector icons for any occasion free of charge. Just follow the link and choose what you need from the multitude of stunning icons! This is a useful resource where you can find more than 127 free vector icons packs picked from the best web designers in the world. It does not offer you anything directly but gives some general information about the files and transfers to the website of the author. Quite handy, isn’t it? Flaticon is a project developed by designers and for designers. The site offers a huge database of free vector icons available in PNG, SVG, EPS, PSD and BASE 64 formats. All 543,000 vector icons are grouped in 10,192 theme packs to make finding necessary icons even easier. If you are an icon designer yourself, Flaticon will help you earn some money as well. 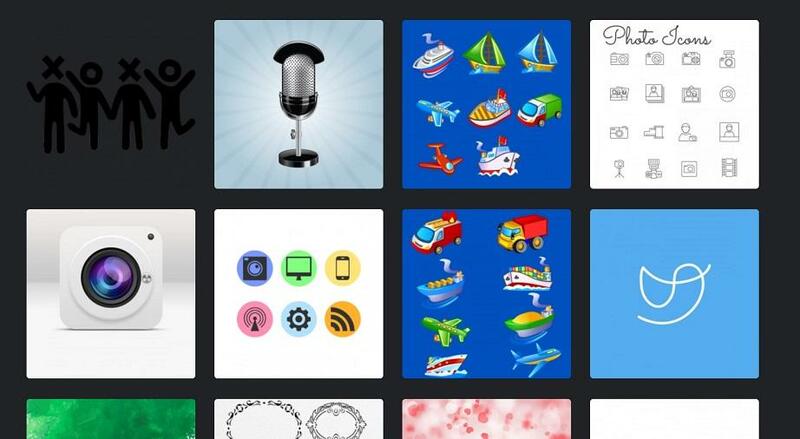 Freepik offers you a nice icons collection which consists of more than 18,177 vectors icons. These icons are available for personal and commercial use. You also have the possibility to download these free vector icons in AI and EPS format. Vecteezy is one of the largest vector graphics communities in the world. It displays about 33530 free vector icons. With Vecteezy you have an opportunity not only to find a perfect match for your next project but also to discuss the creations of other artists from around the world. Most of the files are free to download and, depending on the license, free to use. 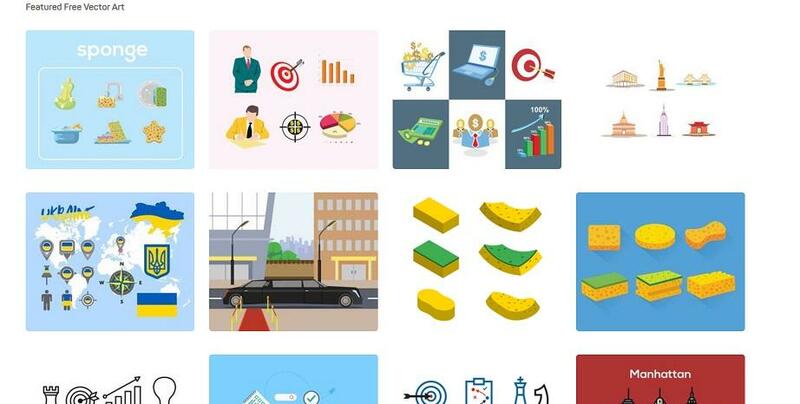 Icons8 can boast a collection of more than 57,700 free vector icons at the moment. The website has an interesting system of new icons creation. The community requests the icons and votes on the ideas. Once it gets enough votes, Icons8 draw them straight ahead. Thus they create dozens of icons each day. DryIcons creates unique icons and icon sets, vector graphics and web templates and gives them away freely. Their icons are available in a variety of formats and sizes. Since DryIcons major targets are web-oriented applications, they tend to supply all icon sets in 32-bit. The icons also come in ICO and ICNS file formats. Enjoy thousands of free vector icons with Awwwards. They present to you an exciting selection of vector icons selection of Free Icons, flat icons, symbols and pictograms with vectorial content, specially designed for UI design, menus, lists, web apps or native apps. DeviantArt is the largest online social network for artists and art enthusiasts. With DeviantArt, you are able to download about 200.000 gorgeous icons for free. Still, you must take into consideration the attribution requirements. So, check them before downloading. The main aim of the creators of this website was to make a USEFUL website. So, they are creating new vector designs in BSGStudio and publish them daily to support this intention. You can choose among amazing designs here. But do, please, note that all of the resources are uploaded by users and public sources on the internet. That is why you will need to check license information on each resource you download. Free Vector Art is a collection of free vector art, graphics, and illustrations created by talented designers from all over the world. The vectors are available as EPS, AI, PDF & SVG files. Hundreds of new free vector files are added monthly. You can use these free vector icons for your personal projects with attribution if you are a free member. But to be able to use them in commercial projects, you must be a paying member. Vector Stock is a popular resource which offers users a wide range of excellent vector icons. They offer 159.000+ free vector icons to choose from. If you are not satisfied with the choice, go with one of the paid plans to get access to 7,536,179 Royalty Free Vector Images. Here you will find the best free vector icons collection from different artists. The vectors are available in the following formats: AL, EPS, CDR, PSD. They are completely free for both personal and non-commerce use. Still, mentioning of the authors is highly recommended. The site offers you an impressive collection of free vector art and vector images under multiple categories to choose from. Start downloading any EPS, AI, JPG, PDF or SVG file from a wide range of icons collection all for free. You can also easily modify any illustration to make it answer the needs of your project in the best way. 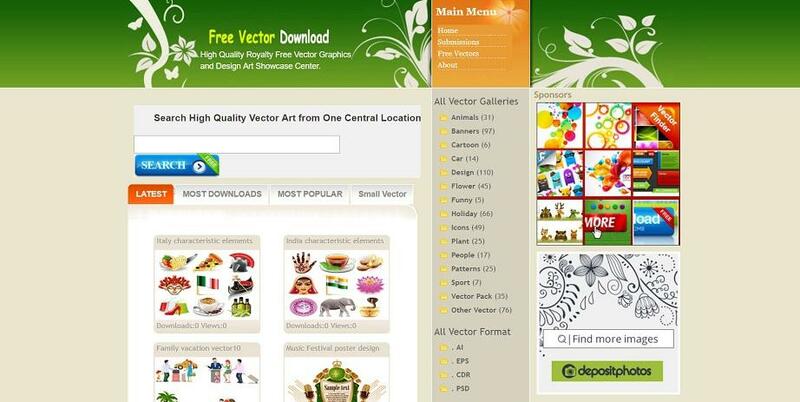 Vexels site offers an impressive selection (22 665) of various vectors and graphics to download. It also has a blog listing even more resources. Though, using their free plan you have some limitations and must credit the author. Moreover, you are not allowed to use them on merchandise, templates or apps. FreeVectors.net is a community of vector lovers who share free vector icons. All the images on this site are free to use for personal use and most of them can be used commercially. There is a convenient index to make your search as easy as possible. This website gives access to thousands of original and high-quality images, graphics, vectors, icons and videos for your creative projects. All icons are available in SVG and PNG formats and are available for personal and commercial use without attribution. Stockio keeps track of your downloaded files and builds up your own personalized portfolio of resources. Vectorportal creates free stock vectors which designers can use in personal and commercial projects. The site also distributes free vector icons from other artists who want to showcase their work. And you don’t need to pay here at all! The free icons shown on this website are created by Mario from Valladolid, Spain. Enjoy +350 unique vector icons that can be scaled to any size without losing a bit of quality. All the icons are available in EPS, PSD, PNG, SVG and Web Font. Besides that, feel free to customize any icon according to your taste and needs. Here you will find some wonderful hand-drawn icons created by Agata, a designer from Poland. Use them for free without any linking back, but do not forget to refer to the artist if you feel like sharing the icons! As you see, there are a lot of nice places to find free vector icons these days. So, choose any of them and feel free to modify, alter, remix or combine these files to create your own unique content!